The rapid development of technology is reshaping all industries. Fashion is no exception. Luxe.Co has paid close attention to the application and empowerment of technology in the fashion industry. Featuring “Innovation Drives Fashion Forward”, Luxe.Co has been dedicated to tracking and reporting systematically the innovative development in the global fashion industry, and to reporting timely industry information and inspiring collaboration with commercial values. 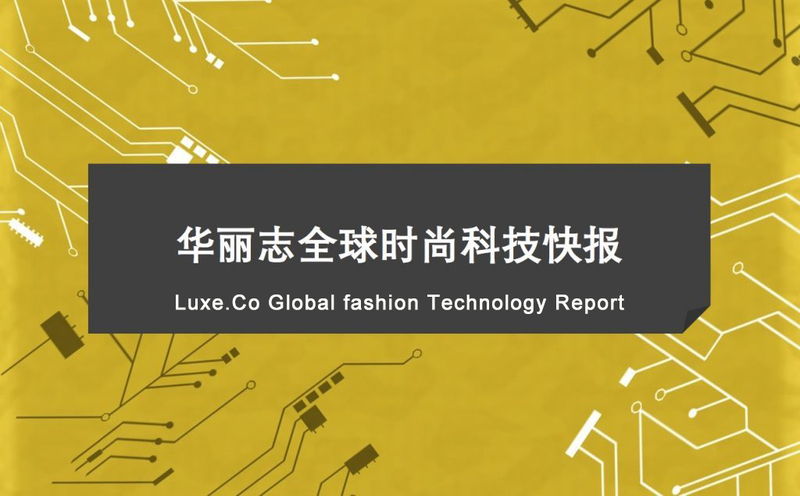 Starting from this issue, Luxe.Co will provide reports on the latest fashion-related technological achievements, application cases, entrepreneurial projects and enterprise initiatives. We welcome professionals from fashion technology-related industries to share your insights with us. In this issue of fashion technology report, we will cover the application and scenes including store management and experience, e-commerce, marketing, activities and exhibitions, product R&D and tracking. The French luxury beauty brand, YSL Beauté, opened a pop-up store at Harbor City in Tsim Sha Tsui, Hong Kong. 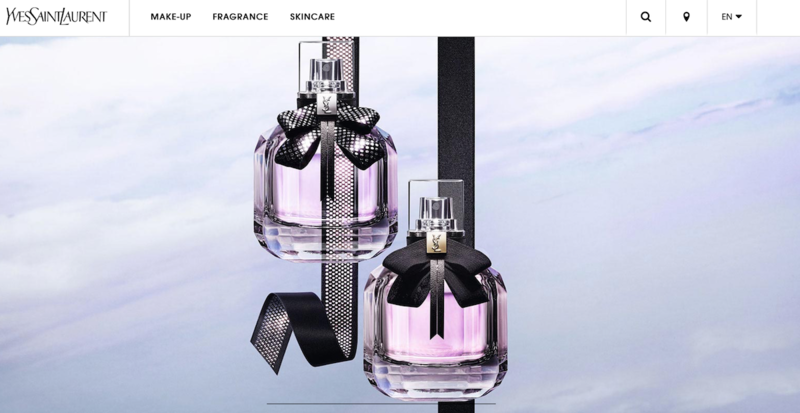 The store provided personalized perfume services. Customers have the options to carve their name on perfume bottles. To shorten customers’ waiting time, YSL Beauté cooperated with Chinese technology giant, Tencent and the marketing company, Mindshare in applying the facial recognition technology of WeChat Mini Programs, to provide solutions to customers and maximize the performance of the event. JD collaborated with hundreds of AR and retail partners including Intel, Wal-Mart, VIP.com, Lenovo, and Carslan recently and established the first AR Boundaryless Innovation Alliance in China. Committed to creating brand-new online and offline shopping scenes, the alliance provided a fresh and fun shopping experience for consumers though enhanced reality visual experience, and launched three AR hardware products, including AR test makeup mirrors, AR fitting mirrors and AR smart glasses. Over the past five years, LVMH has held an annual meeting with lighting suppliers every year to explore methods to reduce energy consumption with latest technology. Eight stores were honored with LVMH “Life in Store” awards for their environmental and sustainability approaches, including Céline (Miami) for the Best Insulation Award, Louis Vuitton (Place Vendôme flagship store in Paris) for the Best Water and Energy Management Award, Guerlain (Saint Honoré store in Paris) for the Best Interior Design Award. The world’s famous sport product retail brand, Intersport collaborated with the Fashion New Retail Division of TMall to create the world’s first full scene store, including smart shoe wall, “Universal Magic Mirror”, AR interaction, “Cloud Shopping Guide” formed with smart devices and AI algorithm, and Cloud Selves simulated by leap motion technology, which was applied for the first time in China. The social e-commerce APP Browzzin applied exclusive AI technology to match products that fashionistas uploaded and shared, with tens of thousands of similar products (including luxury and high-street brands), and to direct customers to brands’ websites or online retailers. Established by Harry Markl, the former managing director of L Catterton Asia, Browzzin helps fashionistas achieve commercialization through social network. The French company Oyst is the winner of LVMH Innovation Award in 2018. Established jointly by Julien Foussard and Quentin Vigneau in 2015. Targeting the time-consuming problem of online payment for both business and users, Oyst developed a one-click payment solution. Consumers can only click once to complete online purchase and skip the traditional steps of selecting sizes and colors, adding to cart, creating account, and filling in shipping address and payment information. The leading American offline geographic business intelligence company, Cuebiq provides offline consumers’ consumption footprint information to companies through the largest and most accurate geographic location database in America. By collecting consumers’ location information anonymously, Cuebig analyzes offline consumption trends, helps offline marketing staff understand better the real offline consumer behaviors and trends, analyzes store performance and evaluates the effectiveness of marketing activities. Recently, Cuebiq raised 27 million yuan in Series B financing. 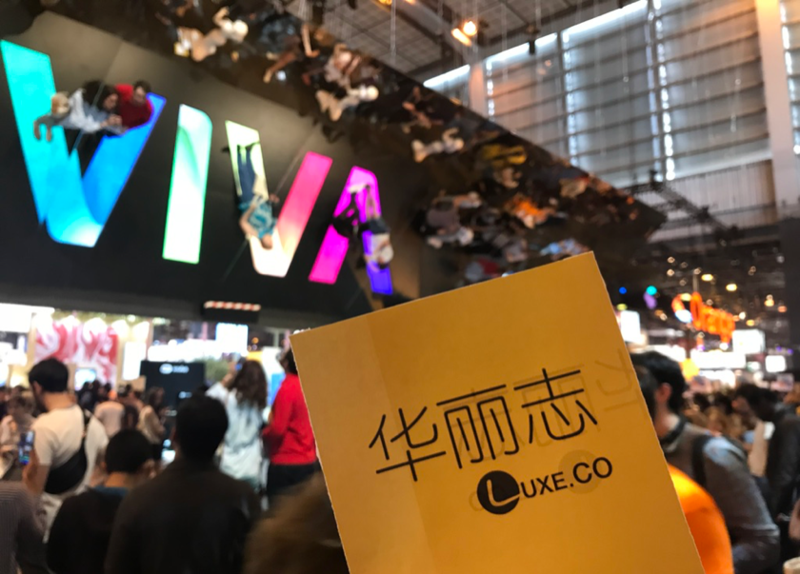 Viva Technology 2018 summit was held in Paris recently. As one of the world’s largest joint communication platforms for start-ups and large enterprises, Viva Technology aims to build a bridge between start-ups and large enterprises. Under Volkswagen AG, the Germany luxury automobile brand Audi released its brand new A8L model. At the press release site, Shenzhen High Great Technology Development Company applied unmanned aerial vehicles (UAV) formation technology and created a light show for Audi with UAVs. 500 UAVs formed the shapes of A8L, Audi logo, headlight and so on. Italian top automobile maker Lamborghini designed the world’s first Super SUV and displayed at the Moscow museum. Russian visual studio, Sila Sveta applied 3D projection technology and customized software algorithms, and performed a visual-appealing multimedia show for Lamborghini. As the parent company of Denmark fashion group Bestseller, Heartland announced that through its investment company Brightfolk, they have formed a joint venture with Demark biotechnology company Pond. The purpose is to enhance Pond’s R&D in biodegradable bio-based textiles and to replace the current petroleum-based materials with eco-friendly bio-based materials. The DNA technology application company, Applied DNA Sciences collaborated with BLC Leather Technology Company (UK) and completed a one-year research project, SigNature DNA. The study shows that the SigNature DNA Technology, developed by Applied DNA Sciences, can apply DNA tags to the entire leather supply chain. SigNature DNA is designed to identify the authenticity of products. Molecular tags can be customized and be marked in any part of the product life cycle or supply chain. Each label has an exclusive fingerprint code. Tracr is the first end-to-end block chain platform in the diamond industry developed by the world’s largest diamond producer De Beers group. It is an innovative block chain platform supported by BCG Digital Ventures and other investors. The platform can track every transaction of registered diamonds from mining to consumer purchases. All tracking records cannot be modified, in order to make sure that the diamond purchased by consumers are natural diamonds, and the origin is not a “conflict zone”. The platform will be open to the entire industry eventually. The world’s largest diamond and jewelry retailer Signet Jewelers will be the first trial. The New York brand design company, Tailor Brands, is the world’s first platform to use AI and machine learning technology to help small companies design brand logos. Users can only input the brand name, industry and company related information, confirm the company’s mood and characteristics, and then select their personal style through several groups of contrast pictures. The website will generate logos with dozens of different styles immediately for users to choose from. Recently, Tailor Brands has raised 15.5 million US dollars in Series B financing. The investment was led by Pitango Venture Capital Growth Fund and Armat Group (UK). The American technology giant Microsoft collaborated with London College of Fashion and jointly established a short-term project “Future of Fashion Incubator”. This project aims to encourage students to provide creative solutions to current obstacles and customer needs in the fashion industry. The project will last for one semester. Students have access to various latest technology of Microsoft, such as AI and hybrid reality. Students can choose one area for further research.